As you have read, the Jumbotron article has been posted! It just needs a little more editing before I turn it over to Toronto Life. But soon! I also rode my bike on an errand this weekend, which was the next step in my bike plan. I rode down a steepish hill with marginally less braking as well, but that's only a cog in the machine. I know I don't get a lot of foot traffic on my personal website. I don't really need to, but I guess I may as well try to understand the whys and hows of Google Analytics. I feel like it wouldn't be hard to learn, either. I'll be attempting this feat and posting about it here this week, probably tomorrow and Saturday. This weekend was Time Festival at Fort York. Between seeing DIIV and Mac DeMarco for the first time and Die Antwoord for the third time, it was an awesome day. But of course, with so much time to drift off listening to the music, random thoughts will begin to occur. You know how it is. So here's this week's instalment: I was watching Tory Lanez's DJ play random songs for ten minutes without explaining to the audience that he himself was not Tory Lanez. Because I hadn't listened to him ahead of time, I didn't know that he was a rapper and so assumed that he was just a quiet-type DJ. So, for those ten minutes, I was under the impression that while the jams were good, this guy was basically shuffling his iTunes library with a two second crossfade for an audience of 200 people. And oh boy, was he getting away with it. Now, as I mentioned, this dude was just hyping the crowd until Tory Lanez came onstage and started doing his rap thang, but he sure got me believing that he was able to create a career based solely on his curation of music off the internet and ability to press the play button on a MacBook (as the kids say). And for a moment, I wondered if I also would be able to fool a crowd into thinking I was a real DJ with the use of nothing more than iTunes. Maybe if iTunes got a little better. 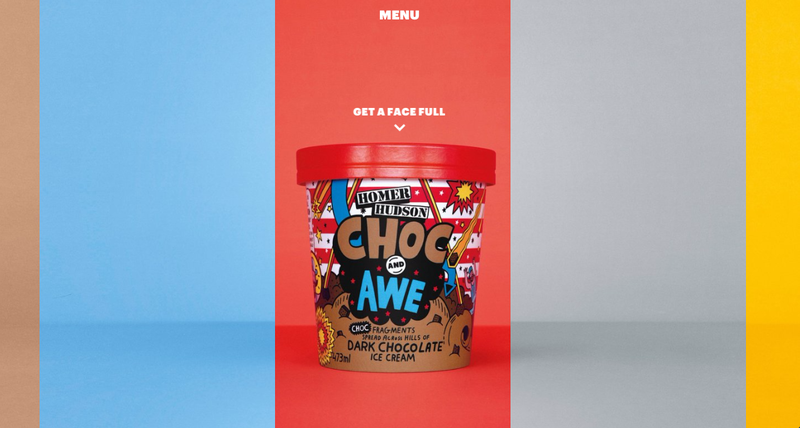 You've seen me write about ridiculous ice cream branding here before. 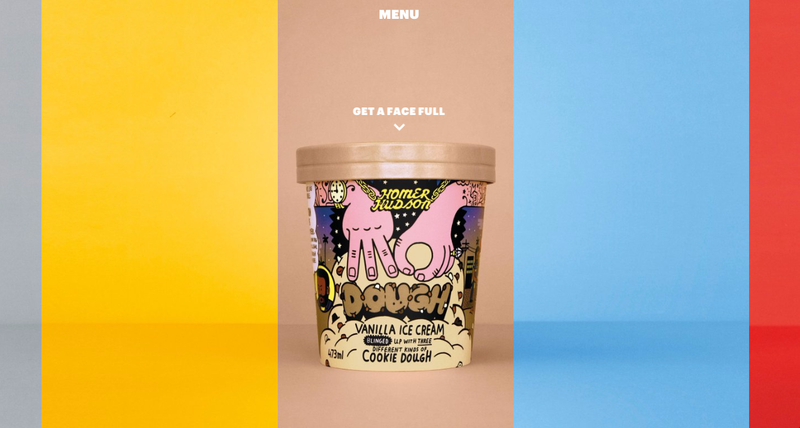 Just what is it about ice cream that makes designers try to push the boundaries of packaging and branding design where they otherwise wouldn't even lick the thought? 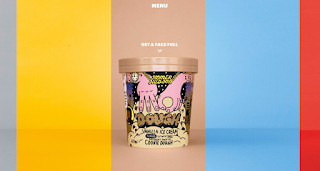 Homer Hudson Ice Cream is making some weird packaging for their delicious-sounding ice cream flavours, but their website is even better. 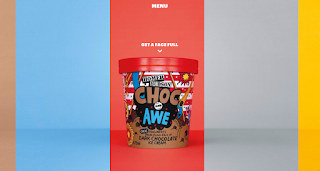 It's literally a showcase of four flavours (plus ingredients and nutritional information – artfully hidden); barely even a website by content standards. But by web design standards, oh boy. I urge you to go check it out through the link above, but if you must have me describe it to you, five colour blocks float across the screen and divulge one of the four interesting flavours – plus one secret 'coming soon' flavour. The website is maddeningly simple and wonderful. 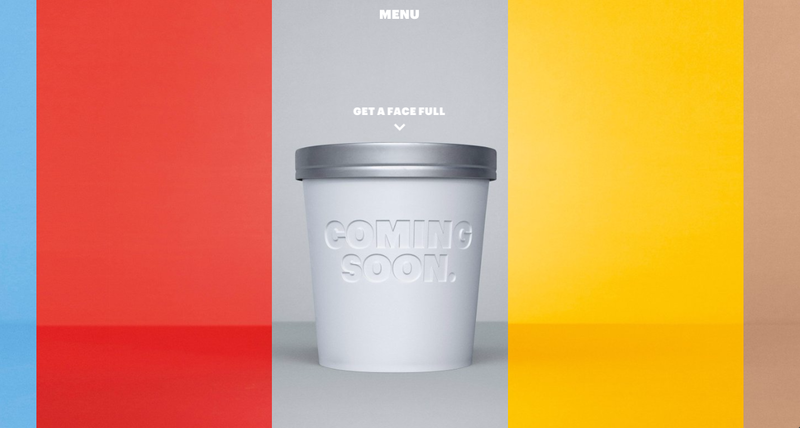 And I wouldn't be surprised if their new flavour remains called 'coming soon' even when its ingredients are divulged. They're just so wacky!